Photo: "A Sailing Beauty!" by blogTO Flickr pooler **Mary**. Mosquitoes as big as 5ft tall are invading Toronto. A West Nile virus educational campaign has hit the city's subways. Finally something (albeit small) is being done about the relatively unabated condo boom. A new bylaw aims to protect renters from condo conversion by imposing restrictions on development and rental fees. Getting to Montreal or Ottawa this weekend might be easiest by air. Via rail has cancelled scheduled rail trips in and out of Toronto, and the main road artery (Hwy 401) might be targeted by native protesters. Mississauga's Lakeview coal plant was reduced to dust yesterday, but don't count on the location becoming a green space. There's talk of it being the site of a new gas-fired energy plant. New regulations are to be imposed on Ontario lottery ticket sellers in the near future, in hopes of eliminating the potential for fraudulent claims by retailers. Jays' veteran power-hitter Frank Thomas knocked his 500th career home run over the fence in Minnesota, making him the 21st player to achieve the milestone and first in Blue Jays history. 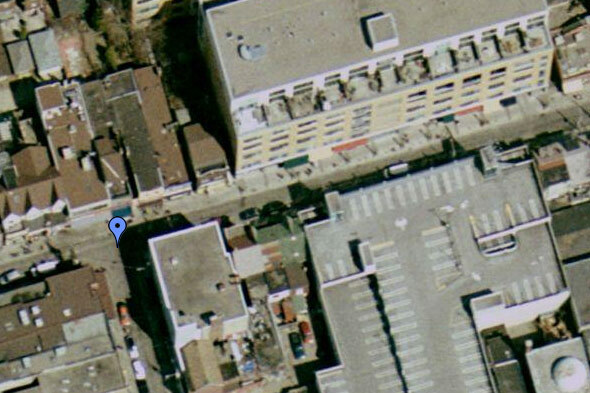 Yesterday's answer: Richmond St and Adelaide St overpassing Cherry St.